Officially released in the US last month, the Xperia XZ Premium is one of Sony's most expensive smartphones to land stateside, as it's being sold for $799.99 unlocked. At this price, one would expect the XZ Premium to be a very well made handset, and it looks like it is. The durability test that you can watch below was made by JerryRigEverything - famous on YouTube for his non-bogus tests. As you can see in the video, the front and rear of the XZ Premium (including its cameras) are protected by Gorilla Glass 5 - this makes the phone as scratch-resistant as Apple's and Samsung's latest flagships. Basically, the screen and rear plate of the handset will not scratch in normal scenarios, even if you keep the XZ Premium in a pocket with coins, keys, or other similar items. 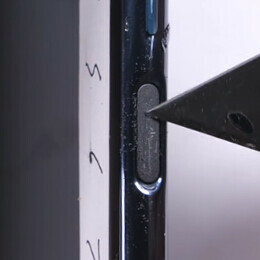 The top and bottom of the Xperia XZ Premium is made out of metal, as are the side buttons - this means they may register a scratch or two from time to time, but that's normal on any metal made handset (and the scratches that you're seeing in the video are obviously not the result of everyday usage). The phone's sides are made out of some premium plastic, so they can be scratched, too. When it comes to bending, the Xperia XZ Premium is pretty tough - even if the device flexes, it will return to its initial form with no visible damage. Overall, JerryRigEverything says the Xperia XZ Premium is "the most well built Son phone" that he'd ever tested. Good to know! Thanks to its 4K HDR screen, its Snapdragon 835 processor, and its rear camera with 960 fps slow-motion video recording, the Xperia XZ Premium is Sony's most advanced smartphone to date. You can find out more about its features by reading our Sony Xperia XZ Premium review. title is not specified What is that? ?